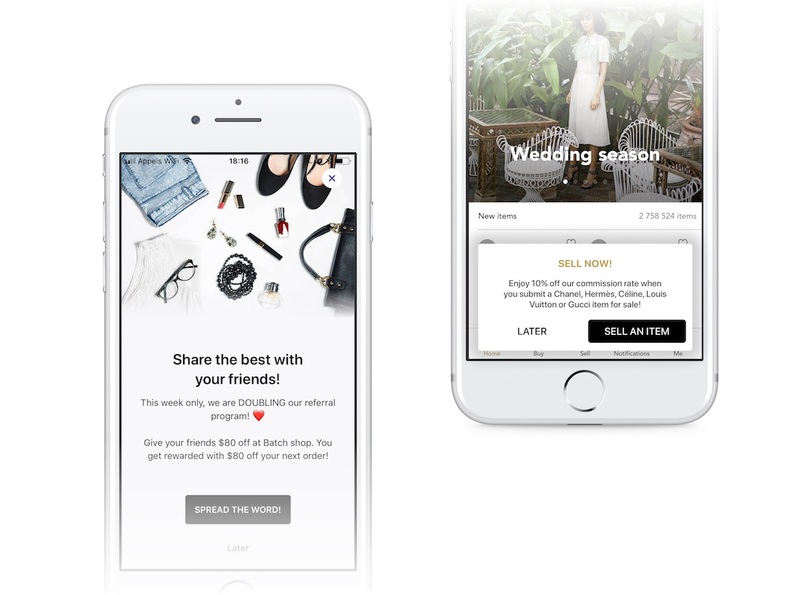 In-App Campaigns allow you to trigger messages when users open your app or perform a specific action. This is great to communicate with users who have turned off push notifications or to show contextual messages while your users are browsing your app (e.g. special offers, update reminder, etc). This documentation describes features common to both Mobile Landings and In-App Messaging. There is no code required to make In-App Messages work in automatic mode. Create some campaigns on your dashboard, and they will start coming up in your app. You can also get more control on when messages are displayed without giving up on the automatic mode, by using the "Do Not Disturb" (DnD) mode. It allows you to tell Batch to hold on a mobile landing for you, rather than display it without using the fully manual mode. After coming back from DnD mode, you might want to show the enqueued message, as Batch will not do that automatically. Batch will send events when a message (In-App or Mobile Landing) is displayed or closed. You can read the Tracking identifier set when creating the campaign, and do whatever you want with it (ex: adding your own analytics). // Process the event as you wish. messageIdentifier can be undefined/null. Note: As the tracking identifier is optional, messageIdentifier might not be present on the fired event.